Find out how one of the largest independent poultry producers in the world transformed learning to combat piles of paperwork and support its growing workforce. When Fieldale Farms first discovered LMS365 in their research phase they did not have a Learning Management System (LMS) in place. The company was facing difficulties with automation and had no concrete way to determine whether what employees were learning was resonating. 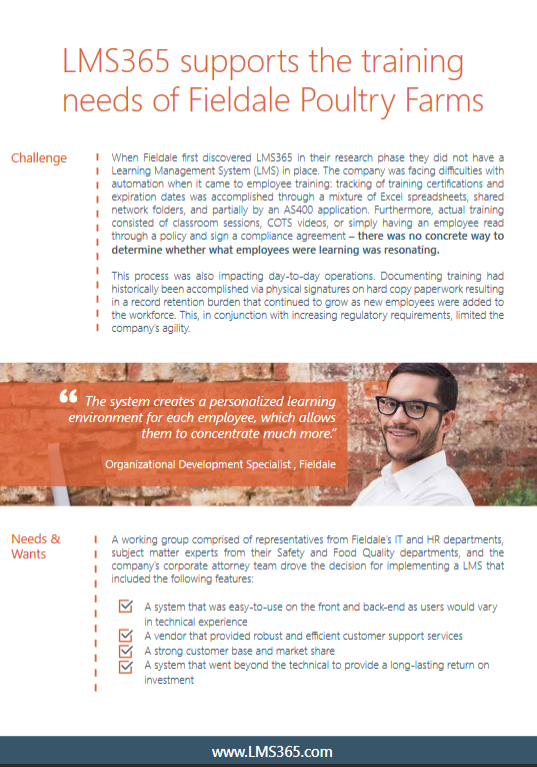 Download the case study to hear from Fieldale firsthand and learn about how these challenges were addressed with learning built in SharePoint.